Amongst all the architecture, the history, the art and its literature, Germany holds a great winemaking production. This fascinating country has history with some great names in cuisine, fashion and design, music and sports. Yet just like everything else, its winery is another great element known all over the world. Along the river Rhine, in the west of Germany, steep vineyards were planted decades ago, producing some of the finest German wine. Growing vineyards on steep soil means that the stone behind the vineyard protects it from strong winds whilst the height of the vines catches more sunlight. Just like Germany holds the history of great composers such as Beethoven and Mozart, it also holds great titles in winery due to their steep vineyards across the river Mosel. 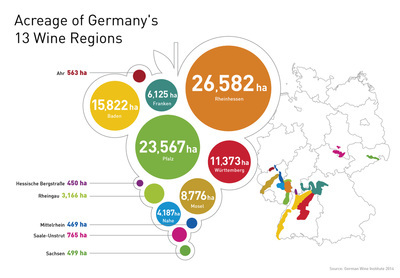 German wine is mainly produced in 13 different regions and mostly in the Southern part. 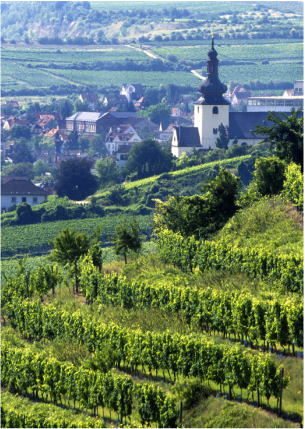 Although Germany’s wine production is both red and white, their white wine is of greater size. 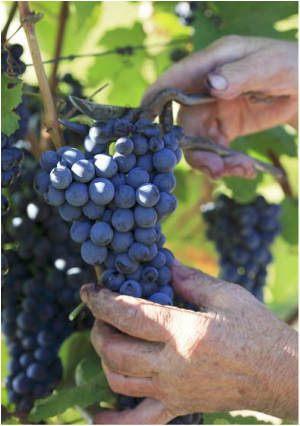 In fact, Germany is the third largest producer of Pinot Noir in the world. Types of vineyards that are planted without the steel wire but are made all-wooden date back to the Roman times, and some regions in Germany still respect this tradition. 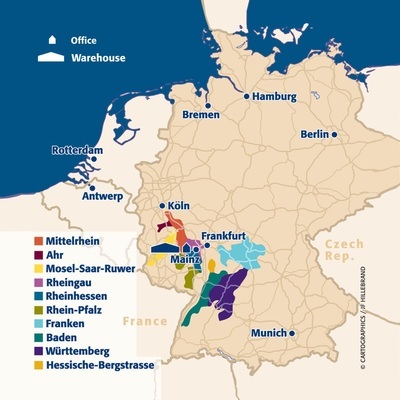 The most grown variety of wine throughout Germany include Riesling, which is Germany’s flagship grape variety, as well as Silvaner, Spätburgunder, Müller-Thurgau and many others. Experience wine the German way and look at Germany’s best wines to get a sense of their aroma and what suits your budget. Mosel-Saar-Ruwer is one of the coolest German growing regions, and home to Germany’s crispest, raciest, and most delicate Rieslings. 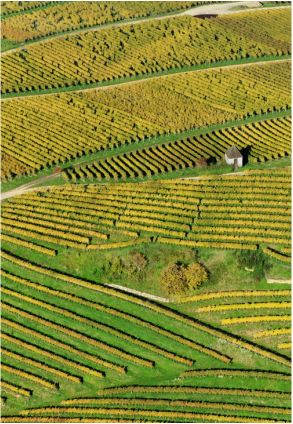 The famous Bremmer Calmont vineyard has a 60 percent gradient and a height of 951 feet. Mechanized harvesting is impossible. The northern Ahr area is one of the only two regions in Germany where red wine dominates (the other region is the Württemberg further to the south) with 85% of the area planted with red vines and 62% with Pinot Noir. Because the weather is not so sunny, German farmers postpone harvesting until as late as possible to increase the sweetness of their grapes. This generally produces thick and sweet yet smooth wines. The Breisach wine cooperative corks half a million bottles of wine a year and supplies 22,800 vintners. Tanks several stories high. Ahr, Baden, Franken, Hessische Bergstrasse, Mittelrhein, Mosel, Nahe, Pfalz, Rheingau, Rheinhessen, Saale-Unstrut, Sachsen and Württemberg. In fact, Riesling, Silvaner, Pinot Blanc, Pinot Gris and Pinot Noir are known as being Germany's best wine types. Find out more about German wine types here.